I bought two Magnums of this wine many moons ago and was waiting for the right time… How about my birthday party. I opened and poured without decanting. I was surprised there was no sediment. The 2003 Bordeaux vintage was very hot and produced many short lived wines, and many wines that were very stewed in taste. The Pichon Laland from this vintage got a surprisingly high 95 points from several top critics. The drinking window suggested between 2014 to 2026. I am glad I opened my first bottle now, it is ready. Cassis, leather, plum on the nose. On the palate lively tannins, tobacco, plum and an earthy component. The tannins are thoroughly in control of this wine, from beginning to end. The midpalate shows stewed plums and the finish has some lingering notes of more leather and plum. The fruit on this wine has made way for the secondary flavors sought after in aged Bordeaux. This does not detract from the wine, it only strengthens its pedigree by the fact that it will mature in such a way. I really enjoyed this wine for what it was and look forward to the next bottle, perhaps within the year. 90 points from me but 4 stars even though it will set you back $150 or so. We drank it before dinner, which was a whole roasted beef tenderloin. It would have rocked the meal, but we thoroughly enjoyed it with some appetizers of cheese and olives. The greatest part of the whole thing was the ability to pull something out of the cellar that I have had for over a decade, and watch it give others pleasure. Salut…. This is the second wine I have had from this South African winery. The first was similar blend but with Cabernet Franc thrown in as well. Vergelegen Cab/Merlot/Cab Franc. 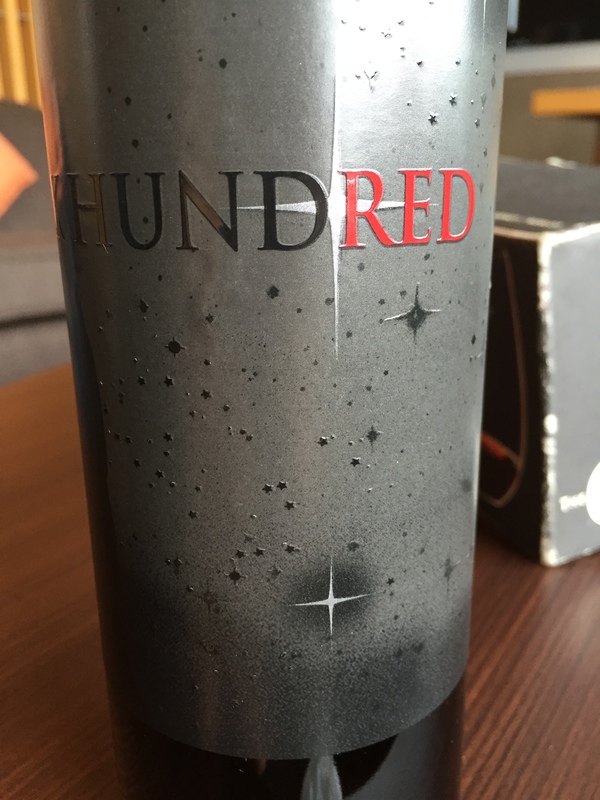 Back to this wine…. Dark purple in the glass spelt out what to expect. A nose of black plums, earth and iodine. The initial taste is amazing. A hint of violets come over after the waves of black berry, plum jam and spicebox. A fine set of tannins swirls around at the finish to leave a nice mouthfeel. The mid palate is balanced and smooth with some acidity that balances the whole thing out. I am really enjoying this wine! The judicious use of oak is apparent. A finish of coffee and a touch of vanilla make this an easy drinking red that will go great all by itself or hang in there with a juicy New York strip, even some pasta with a spicy sauce. I would guess a drinking window up to 2020 at least, with it open for business right now. It was on sale for just over $11 and gets an easy 91 point score from me. I will be buying this in bulk, a stunner and worthy of 5 stars easily. 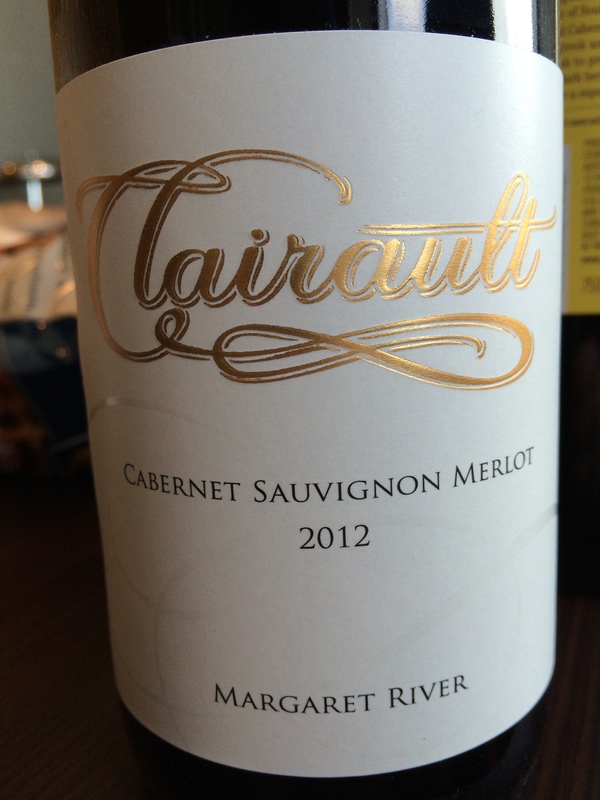 Salut…..
With no varietals mentioned on the label I took a chance on this $30 offering that was on BOGO at the local. Brooding nose of black fruits and chocolate dust. Mouth of ripe plums, cinnamon, ganache and green pepper (kinda strange I know). Rich acidity and mellow tannins. 88 points from me and 2-3 stars. Not sure yet, perhaps it needs some time. This wine hails from Sonoma and I suspect it is loaded with Cabernet Sauvignon and Merlot. Salut…. 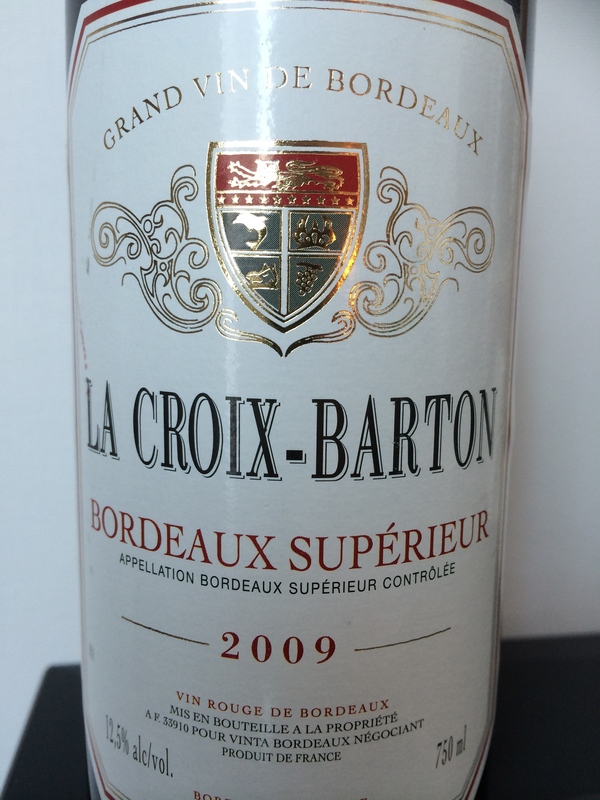 By far the most widely searched wine on my blog has been the La Croix-Barton 2008. I did not particularly care for it, but apparently many people googled it and ended up reading my 2 cents worth. When I saw the ’09 I did not hesitate. Priced at around $14 it provides gratification with oak and mulberry on the nose to get things started. Tart cherry and plums greet the palate but they are slightly thin right now. Juicy acidity and young tannins make this an interesting wine to drink now yet I feel it could do with another 2 years in a cellar. This wine is vibrant and lively but should settle down and gain some weight in short order. It is interesting to taste wines from the same winery but from an average year versus a far superior one to see the nuances. This particular example highlights just how much variation you can get between vintages. I’m going with 88 points and 3 stars for this Merlot/Cab Sauvignon blend from Bordeaux. Salut….